So you’ve finished high school. Now what? You’re finished with your bachelor’s and you’re ready to start a master’s degree? 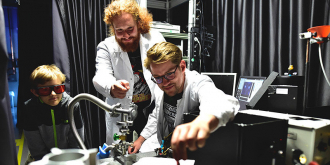 At each Open Day, TU Chemnitz professors, employees and students show prospective students what sets our study programs apart and what possibilities are available after completion of a bachelor’s or master’s degree at our university. 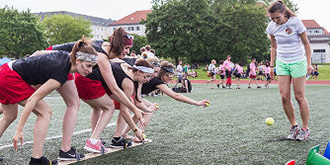 The campus and sports festival offers sporting activities in unusual costumes - a fun for students, staff and professors alike. Numerous, sometimes unusual competitions, many bands and a show program complete the afternoon workout. Internal and external exhibitors present themselves and their products and great promotions in a relaxed campus atmosphere. 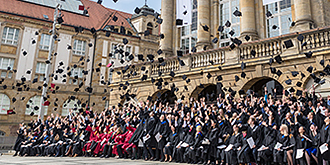 The Graduation Celebration is one of the most beloved traditions at the Technische Universität Chemnitz. Brand new alumni have the chance to celebrate the end of their studies at the university and are welcomed into the ranks of all alumni that have come before. Register now to take part in the celebration! 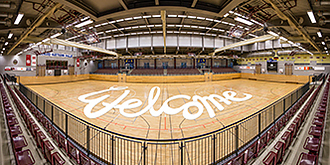 New students are greeted each year at the beginning of the winter semester in a cherished TU Chemnitz tradition. Together, we recognize and celebrate the beginning of an important new phase of life for the new students joining us at our university. University students, employees, graduates, friends and sponsors ring in the advent season together with mulled wine stands and musical performances. 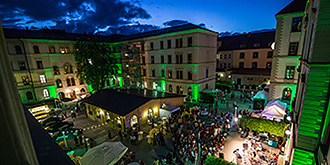 Here you find pictures of University events, which across the Department have a special importance for the Technische Universität Chemnitz.